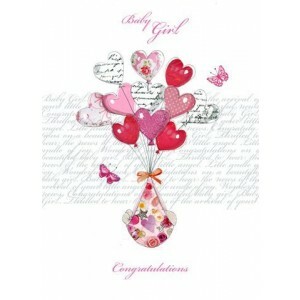 This gorgeous card has been designed especially for us and has the wording Baby Girl & Congratulations printed on the front. 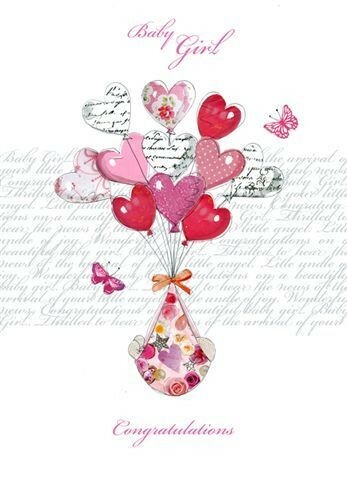 The design is bunch of lovely heart shaped balloons holding a baby girl in a sling. It is just beautiful and a fab card to give to Mum to be at her Baby Shower as a lovely keepsake or for a new baby girl arrival.